This city is recovering, and may have the fastest price growth in Europe. The number of Irish passports issued to British people has almost doubled since the result of the EU referendum was announced. Britons everywhere, from London to Lisbon, have sought to capitalise on Irish family connections — many with the idea that they might one day move to the Emerald Isle. They are not alone; businesses are also eyeing up Dublin. Last week one of Lloyd’s of London’s largest insurance syndicates, XL Group, announced that it was moving its headquarters to Dublin. Ireland’s Industrial Development Authority has reported an influx of inquiries from London financial institutions considering a move. Others, including the US bank JP Morgan, are expanding operations in the city. It is not only the financial sector that is booming. Silicon Docks, the tech hub around Grand Canal Dock in the Dublin 2 neighbourhood, already home to the European headquarters of Google, Facebook, Twitter and LinkedIn, is also growing. While no one wants to make reference to the “Celtic Tiger” — the period of rapid economic growth in the country from the mid-1990s to the mid-2000s, which crashed dramatically — the Irish economy looks as though it is finally bouncing back, with strong GDP, job growth and low unemployment. There is, however, one small glitch, should you be considering a move across the Irish Sea — the distinct dearth of housing. This seems incredible in a country that had more than 3,000 unfinished housing estates in 2010. At last count, at the end of 2016, about 2,580 of these were complete. In March this year Damien English, the minister of state for housing, said that the stock of unfinished estates would be resolved within two years. There were only three unfinished estates left in Dublin last year. The skyline in the middle of the city is dominated by construction cranes and the streets are lined with developers’ hoardings, but the majority of these are new office blocks rather than homes. Sean O’Malley, a researcher for Savills Ireland, says: “We have seen massive population growth, 22,000 additional people a year in Dublin as a result of migration and natural population growth. We have the third fastest growing economy in Europe and people who moved away in the downturn are now returning. But the supply side is not keeping up, we are not building enough housing. Although this is starting to right itself — the economics is finally adding up for builders. Economists at S&P have said they expect Ireland to experience the fastest house-price growth in Europe partly as a result of financial workers relocating to Dublin. They predict 8.5 per cent this year and 7 per cent next year. By contrast S&P expects UK house prices to fall by 1 per cent in 2018. Even before any sign of a “Brexidus”, pent-up demand in the domestic market has led to queues outside developments, with first-time buyers prepared to camp to bag a Help to Buy property. Three-bedroom, semi-detached, new-build homes in west Dublin, priced between €285,000 and €350,000 (£250,000-£307,000), and similar houses, costing €475,000, in south Dublin have proved particularly popular. Figures from the Institute of Professional Auctioneers and Valuers (IPAV) published this month show that the average family home in Dublin costs €517,894 — compared with €253,466 nationwide. Ireland’s highest priced three and four-bedroom semi-detached homes are in Dublin 4, priced €975,000 and €1.3 million, according to the IPAV. In this neighbourhood embassies and large Victorian homes dominate. On the top streets, Ailesbury Road and Shrewsbury Road, houses sell for between €7 million and €10 million. 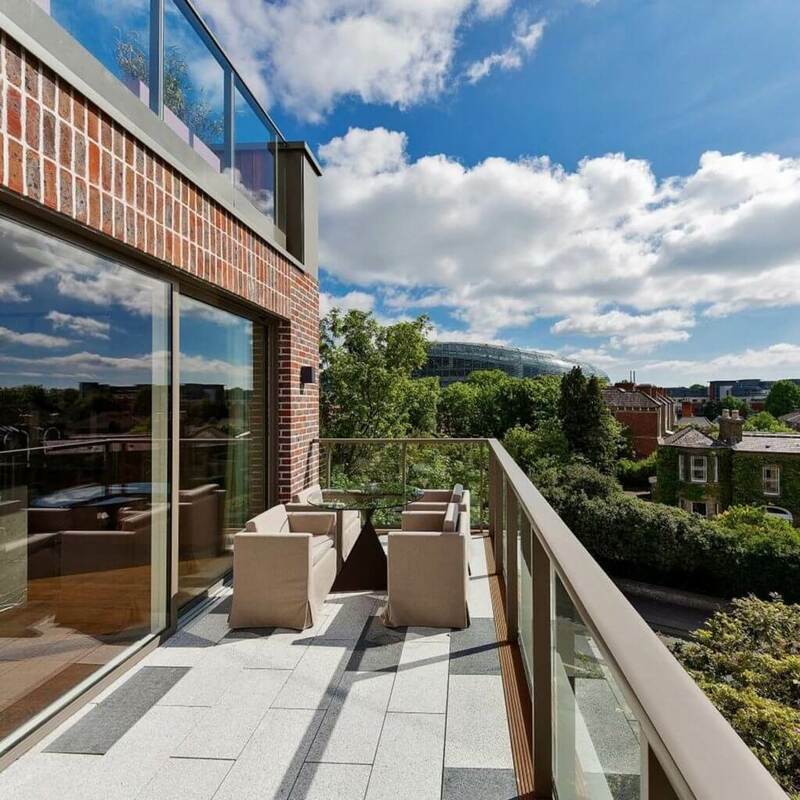 Not far from here in Ballsbridge, Dublin 4, Lansdowne Place launched this summer. The luxury development, by Chartered Land, is the first in Dublin to offer what Browne calls “London-style facilities”, including a 24-hour concierge, residents’ lounge, private cinema, residents’ library, private dining space, gym and spa. “This is unheard of in Ireland, Chartered Land plan to raise the bar on anything ever seen here, including during the days of the Celtic Tiger,” he says. Already 50 out of the 215 apartments have sold (from €825,000 for a one-bedroom flat), many to downsizers from the nearby large houses; the first apartments are due to be completed in the middle of next year. 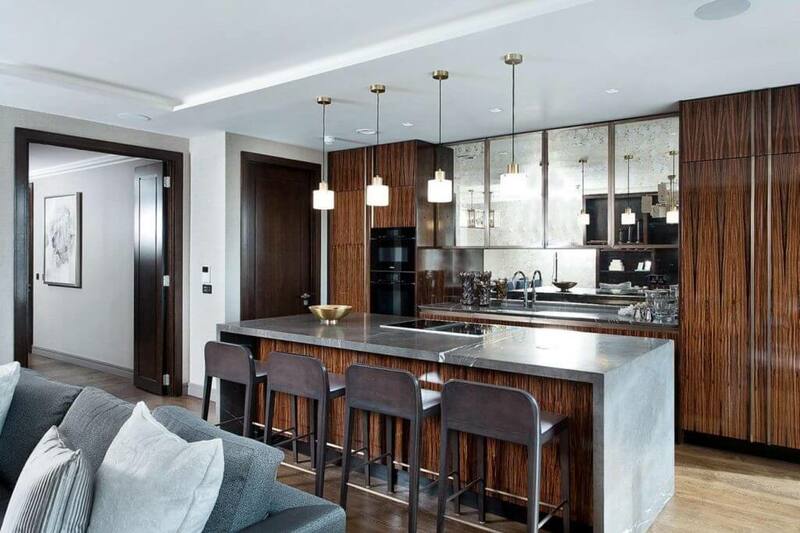 The apartments — particularly the Lansdowne Collection of penthouses (from €2.15 million) — are finished to a high standard, with Miele combi ovens and induction hobs, bespoke cabinets by O’Connor Kitchens, solid oak floors and leathered Wicklow marble counter tops.